It is somehow comforting to know that, despite the plethora of television crime series and films today, one Sherlock Holmes remains just as popular now as he did when he first burst into the public consciousness more than a century ago. In fact, the super sleuth remains so relevant today that author Sir Arthur Conan Doyle's second Holmes story - originally titled The Sign of the Four - has apparently been included in this year's GCSE Literature curriculum, hence the large number of attentive students in the audience at the Lichfield Garrick theatre. 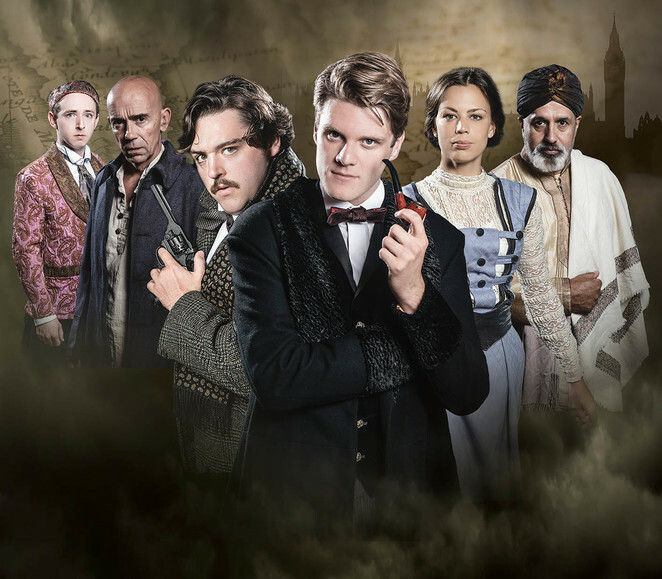 The Sign of the Four, originally published in 1890, has been superbly adapted for the live stage by Nick Lane for this outstanding production by Blackeyed Theatre, which is currently enjoying its world premiere tour. Can Holmes solve the case? [LINK=http://www.blackeyedtheatre.co.uk/future-shows/sherlock-holmes-the-sign-of-four/]Sherlock Holmes: The Sign of Four[/LINK], which has been produced in association with New Theatre Royal Portsmouth and South Hill Park Arts Centre, is being performed at the Lichfield Garrick in Staffordshire from November 8 to November 10. While deemed suitable for audiences aged 11 and above, the story begins with a clearly bored Holmes injecting himself with a diluted narcotic in order to try to stimulate himself. As he confides to his long-standing companion and assistant, Dr Watson, "I cannot live without brainwork". Right on cue enters Mary Morstan with a tale of her missing father, an army captain who she hasn't seen for many years, who disappears soon after arriving home to England on leave from India. There then follows a thoroughly absorbing and intriguing tale involving the murky and complex world of theft, betrayal, corruption and, inevitably, murder. 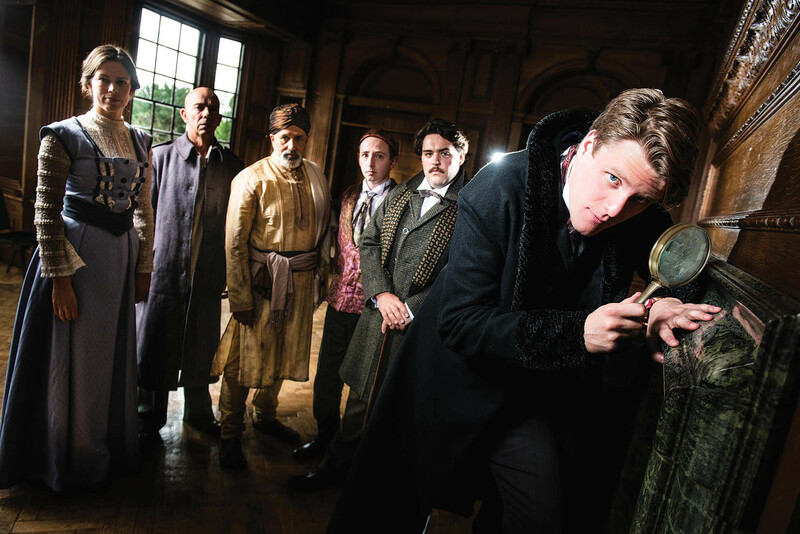 Against these classic ingredients, for a Sherlock Holmes story we also have an acrimonious police inspector, who clearly has a personal axe to grind against the resident of 221B Baker Street, and a blossoming romance between Dr Watson and the wronged Mary, who stands to inherit a fortune in stolen jewels from India. The Sign of Four, which takes its name from four crosses alongside four corresponding names on a map found among Captain Morstan's possessions, benefits from a superb cast, as well as Nick Lane's direction. There is also original live music, composed by Tristan Parkes, which is played by members of the company at regular intervals throughout the two-hour show, ranging from a guitar to a trombone. It certainly sounded better than Holmes' early attempts at mastering the violin that became synonymous with the detective in later stories. Sherlock Holmes - The Sign of Four concludes at the Lichfield Garrick Theatre on Friday 10 November. Tickets priced £19 for adults and £14 schools are available by visiting www.lichfieldgarrick.com or by calling the Box Office on 01543 412121.